Bob was a 1967 graduate of Bishop Watterson High School and a graduate of The Ohio State University. Bob began teaching in the Diocese of Columbus in 1972. In his 42 year teaching career, 40 of those years were spent at St. Francis DeSales High School. During this time period, Bob taught in the Science Department and coached a number of athletic teams. 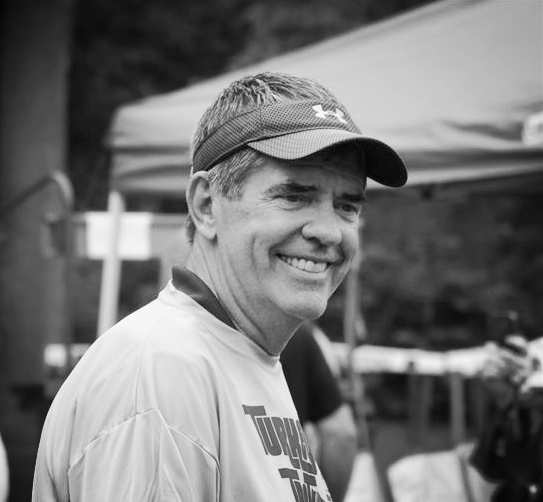 His coaching career included 39 years as Head Cross Country Coach, 35 years as Assistant Track & Field Coach, 6 years as Head Boys Basketball Coach, and 3 years as Assistant Girls Basketball Coach. Coaching accomplishments included 9 Team League Championships; 3 Team District Championships; and he coached 7 Individual All-Ohio place winners. We invite you to share your memories and condolences by emailing them to snyder@desales.co. "Bob added a fun element to the press box at Alumni Stadium on Friday evenings and game nights in the Fall have not been the same without him"
"I wanted to share this memory of Mr. Lennon from a non alumni. I am an employee of Northland Swim Club. Mr. Lennon had in the past 8-10 years always brought his cross country team in for a swim after a training run. It was normally like a last hurrah as summer was over and the school year was starting. I was always the employee on for this event. Either as the guard or the manager. Mr. Lennon was always very sweet and funny. He would bring in blizzards from Dairy Queen to give the runners but always made sure I got one and left the extras for the pool staff. He always asked me how I was and knew my name. He would ask me about my children and we would share a few laughs together. He was very well loved by his runners. It was very evident by their interactions. I truly missed this event this past summer. Mr. Lennon was a remarkable man that made a lasting impression on my life. He is truly missed." "As I reflect on this day, 1 year ago, a memory has never escaped me. I was a parent that helped to feed the football team and coaches, on game days. They are always outstanding meals provided by Carfagna's. It was the last meal served, at school before he passed, that he snuck into the serving side of the line and whispered...."I'll take a little of everything." I obliged and prepared a plate for him. He was so thankful. Mr. Lennon was a teacher to 2 of my sons. I am ever grateful for the dedication that he portrayed to them and all of the students he ever touched. He was one of a kind." "My name is Melissa Thompson and I am a '10 graduate of St. Francis Desales. I ran for Coach Lennon all four years at DeSales and continued my running career at Ohio University. It is impossible for me to describe the impact Coach Lennon had on my life. I do not know any man that could have convinced me to try to run cross-country and soccer in the same season, but he did. His determination to have me on the team changed my life. Coach Lennon saw my potential before I even saw it myself. He believed in me, encouraged me and always made me laugh. Without his guidance (and determination) I would not have gone on to run at Ohio University. As a coach & mentor he truly left a lasting impact on my life.